Contentment inspired by a color. It’s quite conceivable with these Caribbean Waters. Spreading euphoric vibes with its perfectly fused hue of the sky and of the sea. Two magnificent wonders capable of the calm and the chaotic. And when beauty lies in both you know this makes a suitable selection for your stash. Because there’s nothing like a peaceful gaze to refresh the body and relax the mind. Just before you face your crazy daily grind. Our signature blend of superior sweat-wicking fabric will keep you cool and dry. So you can sweat the small stuff. The big stuff. And everything in between. Our special design will look great in any classic or modern style (wide, scrunched or narrow) and will keep you headache-free. Technical-fabrics lose their magic when mixed with fabric softener; if you love your halos, hand wash and lie flat to dry. 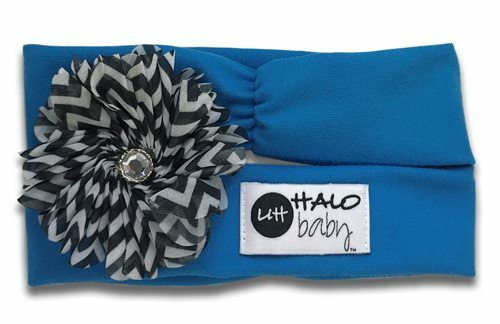 Our halos come to you from the fabulous USA (where they’re handmade with love)!